would you find this Armory? It's the Cleveland Grays Armory on 1234 Bolivar Rd. (at Prospect). 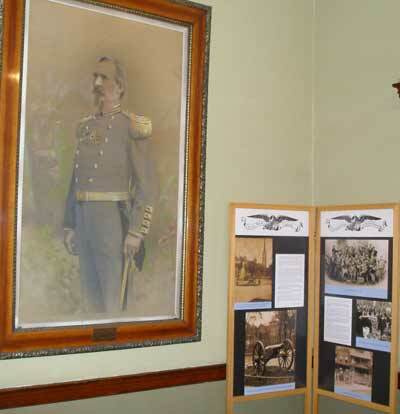 As their website says, "The Cleveland Gray's, a non-profit organization, was founded in 1837 as a private militia and the first company of uniformed troops west of the Allegheny Mountains. 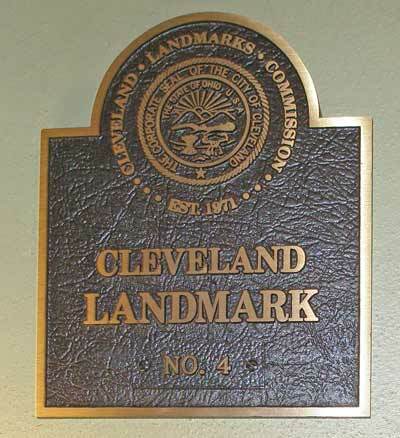 Our mission is to preserve our historical Armory Museum, support our Armed Forces and advance the military heritage of Greater Cleveland. 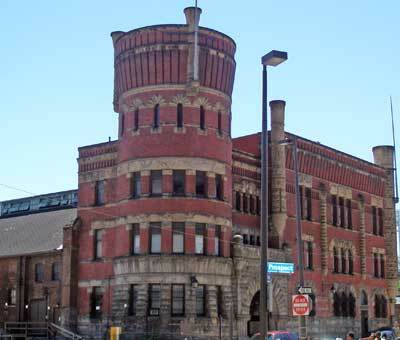 The Armory, built in 1893, is on the National Register of Historical Places and a City Landmark." Side A : "Cleveland Grays"
The Cleveland Grays were organized by statute in 1837 as an independent volunteer militia company. 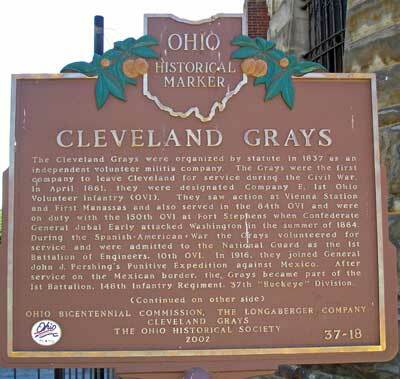 The Grays were the first company to leave Cleveland for service during the Civil War. 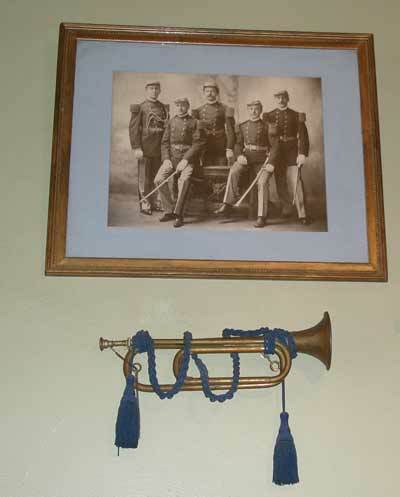 In April 1861, they were designated Company E, 1st Ohio Volunteer Infantry (OVI). They saw action at Vienna Station and First Manassas and also served in the 84th OVI and were on duty with the 150th OVI at Fort Stephens when Confederate General Jubal Early attacked Washington in the summer of 1864. During the Spanish-American War the Grays volunteered for service and were admitted to the National Guard as the 1st Battalion of Engineers, 10th OVI. 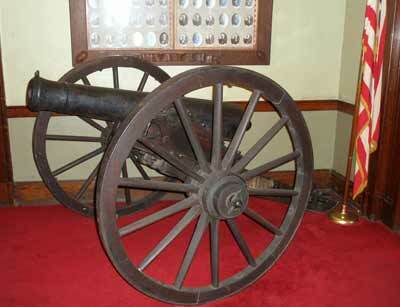 In 1916, they joined General John J. Pershing's Punitive Expedition against Mexico. Assigned to the Western Front, the Grays would see action in the Meuse-Argonne Offensive of 1918. World War I was the last active service of the company. During subsequent conflicts from World War II through the Persian Gulf War, individual members have served in the armed forces. 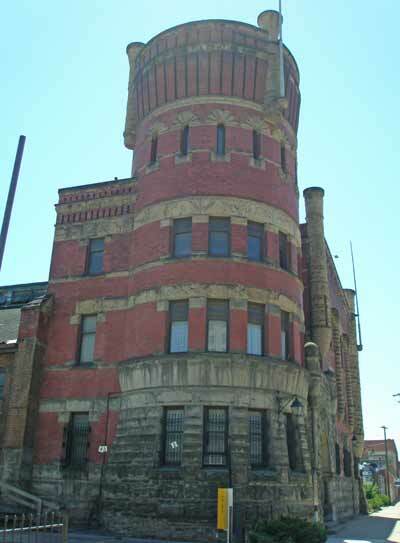 In 1893, the Grays constructed an armory at 1234 Bolivar Road in Cleveland. 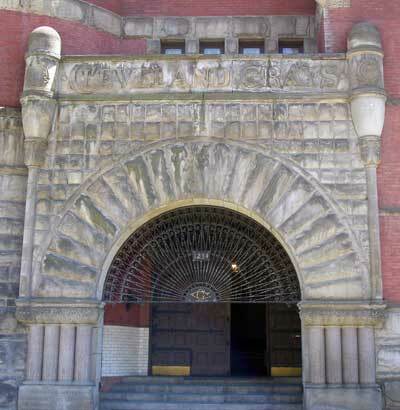 The armory became a center not only for the organization's military activities, but also for many of the city's social and cultural activities. 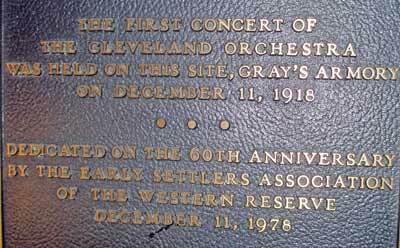 The first concert of the Cleveland Orchestra, Cleveland's first automobile show, and performances by the Metropolitan Opera and John Philip Sousa and his band were held at Grays Armory. 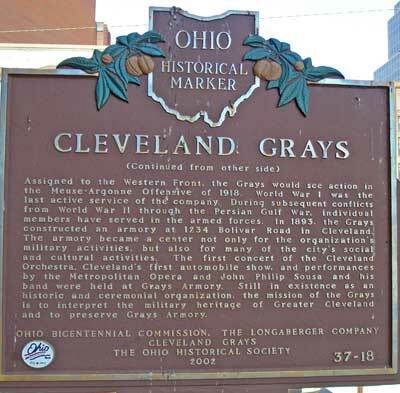 Still in existence as an historic and ceremonial organization, the mission of the Grays is to interpret the military heritage of Greater Cleveland and to preserve Grays Armory. 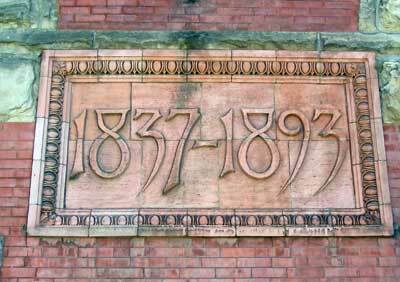 The Cleveland Grays began in 1837 and the cornerstone of the Grays Armory was laid on Decoration Day 1893.